The arrival of a letter in the post with the address handwritten can provide a rare moment of joy. It personalizes the event and adds a touch of refinement to any occasion, be it a ceremony, an invitation, or an important communication. Poetry and calligraphy are similar arts, and, when combined, their beauty is enhanced. 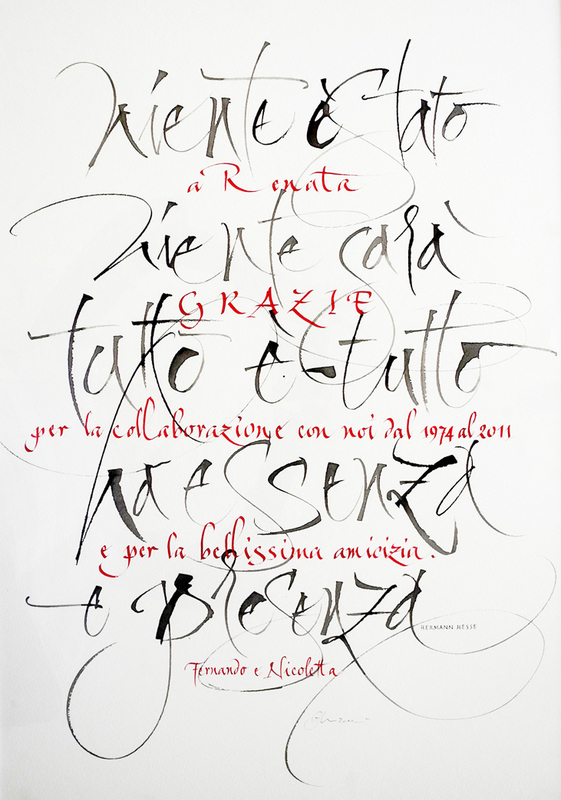 Handwritten poetry in a given calligraphic style acquires great expressive force. The gift of a visual representation of a poem that is particularly meaningful to a dear one, is a much appreciated gesture – they can see the text hanging on the wall, and can read it at any moment.